This repair kit supplies the capacitors needed to repair the power supply board inside a Gateway LP2407 LCD monitor. This repair kit is for the power supply board pictured above. 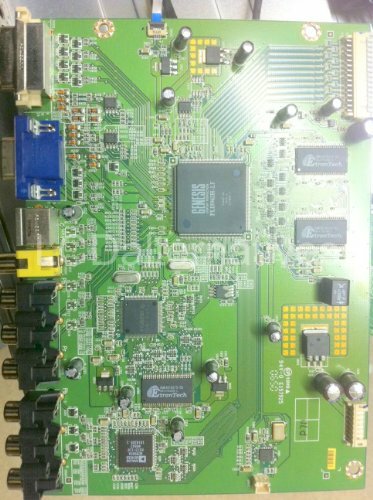 Please verify that the power supply board inside your LCD monitor or TV matches this power supply board. This Gateway LP2407 LCD monitor repair kit contains 12 capacitors needed to repair the power supply board inside your Gateway LP2407 LCD monitor. If you need the kit for the Gateway LP2407 Power Supply Board, it is sold separately. This kit does not include the large 400-450v capacitor, that capacitor may be purchased separately. This repair kit contains 12 Electrolytic capacitors. 6 inches of .032 inch 60/40 solder are included in the kit.